Most of us have our little obsessions over weight. Whether it’s for health or vanity purposes, keeping track of your weight with the right scale is already a crucial part of most people’s week. The scales listed below are all more than up to the task, delivering reliable measurements in a sturdy form. With an ultra-wide 15 in platform for comfortable stepping, this Eatsmart model also further simplifies the process of recording your weight in the mornings by using technology that makes it turn on as soon as you step on it. 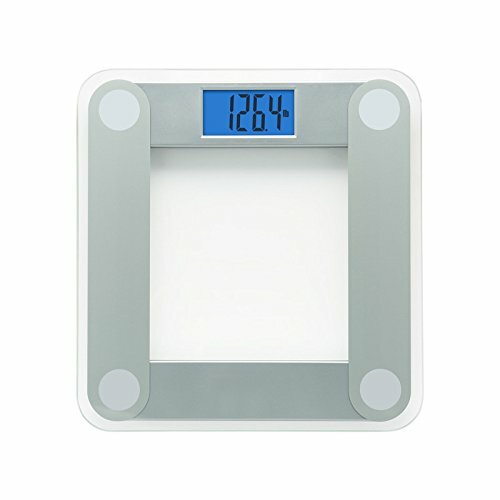 It has a backlit 4.3 in LCD display, the capacity to measure in increments of 0.2 lbs, a maximum measurement weight of 440 lbs, automated power-off technology, and a 2-year guarantee. It uses 2 AAA batteries. This is a very nice scale for the price, especially given how many usually annoying functions it automates. Turning it on is automated, turning it off is automated, even calibration is automated. It’s not hard to look at every day too, so you can definitely feel good about leaving it out on display in the bathroom. However, keep in mind that the top is of tempered glass which is pretty much a given for most of these scales nowadays. That’s good in one way; if it does break, you won’t be getting any glass splinters from it. Still, the fact remains that it can break, and that’s especially true of this particular scale’s design if you hit it at the right place with enough force. That may be a consideration if you’re on the clumsy side or have kids constantly running into the bathroom. This scale merges an electro-mechanical dial with a modern LCD screen for a stylish combination of retro and modern accents. 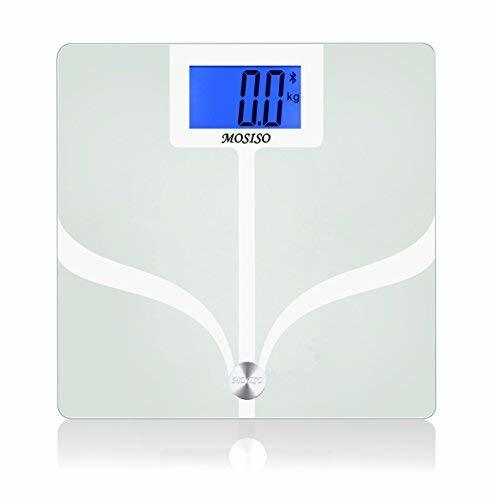 It measures in 0.2 lb increments, uses 4 GX sensors, auto-calibrates and automatically shuts down, has a low battery indicator, and has a maximum weight of 400 lbs. This is a good-looking scale and certainly a good value buy. It does have a tempered glass top, so it’s best kept away from areas where it’s likely to get kicked around a lot, but other than that it’s really very sturdy. There are occasional slight differences in the measurements shown by the two displays, but it’s fairly rare. Of more concern is that it’s not ideal for those who keep their bathrooms humid. 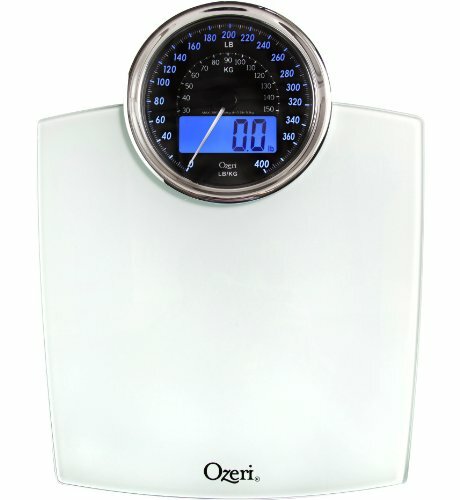 With automated on/off/calibration features, this Weight Gurus scale boasts a medley of modern technologies to render it easy to use. 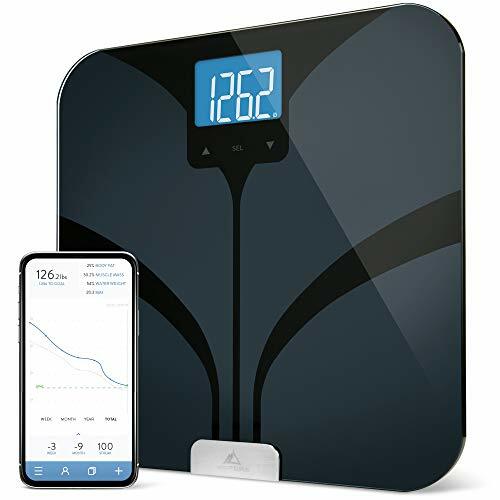 It also has Bluetooth Smart connectivity, smartphone tracking, automated user detection for multi-user households, BMI reporting and health metrics analysis, and high precision gauges taking measurements at increments of 0.1 lbs. This isn’t one of the cheaper digital scales. However, it does make up for that cost with its array of features. There’s a lot to like about them, from the metrics reports to the weight tracking (very convenient! ), and the user detection is one of the best things ever if you have more than one person using it. That said, these features aren’t for everyone. There’s no point in laying out this much money unless you know you can really use all of those things, so if you just want a plain scale function-wise, look elsewhere. 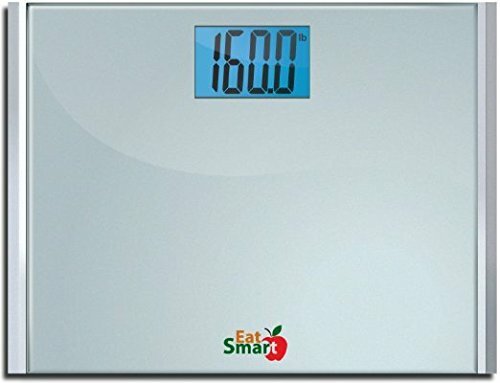 This scale has smart-step and auto-shutdown technology, along with Bluetooth technology so that your smartphone can store your measurements on it. It takes multiple body/health metrics besides weight, from your body water measurement to your body fat measurement. The only two nitpicks you can make about this scale are tricky because they could be just as easily good things as bad ones. First, it’s a largish scale, which is good because it means no fussing about with trying to fit your big feet on it. However, those with smaller bathrooms may find it hard to fit in the space. The second thing is that it’s decidedly modern looking, which is good if you like that sort of thing, but bad if you don’t. Other than those things, it’s pretty much top-of-the-line in nearly every other aspect, so its relatively high price may not really be so high after all. The Precision scale can take measurements of up to 400 lbs using its high-precision gauges, which take measurements in calibrations of 0.2 lbs. It has a backlit 3.5 in LCD display, automated on/off technology, 3 measurement modes (lbs, kgs, stone), and uses automated calibration. If you can live with the aforementioned tendency of the scale to “round off” when the latest reading is close enough (within half a pound) of the last reading it took, this is a pretty good scale for the price. It’s stylish, decently accurate (with only minor fluctuations if you do workarounds for the aforementioned rounding off), and really quite sturdy. The two EatSmart models are really hard to beat in this list, not least because they’re backed up by a company that’s known for working hard to keep customers happy. They’re also eminently affordable, which is a big plus in their favor. The only cheaper model in the lineup, the Ozeri, is unfortunately hampered by its inability to cope with humid conditions.